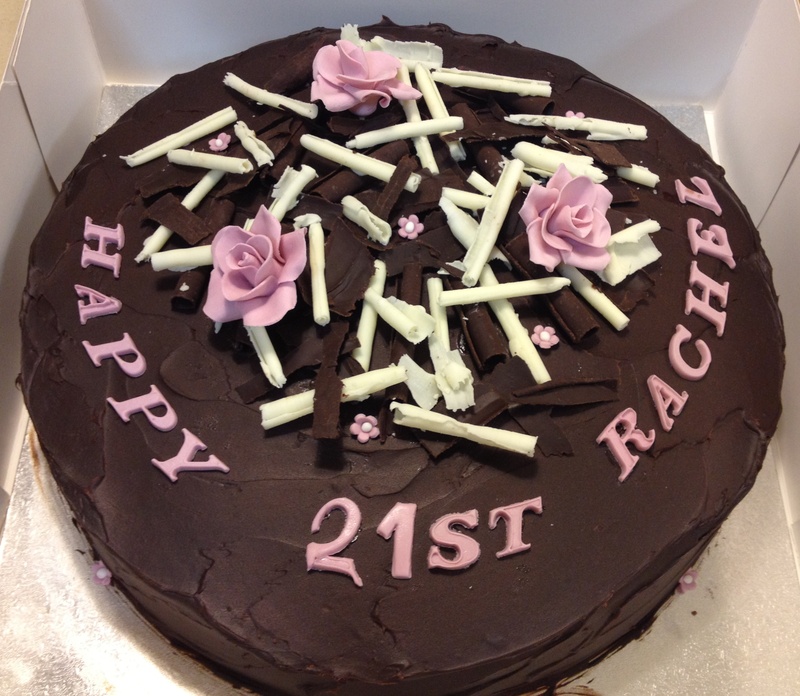 My recent cake work was for a 21st birthday celebration. I was told that the birthday girl loves chocolate and her favourite colour is mauve. I made a chocolate mud cake, layered and covered with chocolate ganache. As if that is not chocolatey enough, it was topped with white and dark chocolate shavings. The cake was then finished with a few roses and small flowers on top. Being a neat freak, it was slightly challenging to create a more rustic style. Thank God I managed to pull it off (relief! ).